If style-stalking is your cardio and you have a penchant for raw-edge denim (like these step-hems from French Connection), you’re likely already following Shot From the Street. Whether she’s wandering the pavements of Paris or at home in Manchester, founder Lizzy Hadfield consistently nails low-key style. Her addictive Instagram is an ongoing celebration of cool-girl staples: incredible coats, beautiful blazers, luxe knits and boots for days. Ready for a spring upgrade? Below, Hadfield shares her perfect jeans, plus the three things you need from French Connection to elevate your favourite denim into a must-have spring look. Hadfield’s pick? A reworked peplum shirt, which she tells us is particularly flattering over high-waisted jeans. “The genius of this one in particular lies in the details; the pleating down the front, the differing angles of the pinstripes, the cropped sleeves. It all comes together to form a statement piece that still feels minimalistic,” she tells us. Hadfield tells us that even her off-duty looks need to feel put-together, and that’s where the finer accessory details come in to play. “Most of my looks are inspired by street style. I love seeing what real women wear in real life; it always leaves me buzzing with ideas,” she says. Her current trend to try? Layering fine necklaces, keeping the feel relaxed by not worrying too much where they fall. “French Connection has this amazing selection of jewellery that’s all easy to mix and match. I went with two necklaces—a choker and a tiered piece—the secret to making a layered look effortless,” she advises. One last piece of advice from Hadfield: Taking your style from classic to cool girl requires an occasional toe-dip outside your safe zone. “Never wear something you don’t feel comfortable in, but don’t be scared to embrace something new. Just find a way to make it feel like you,” she recommends. 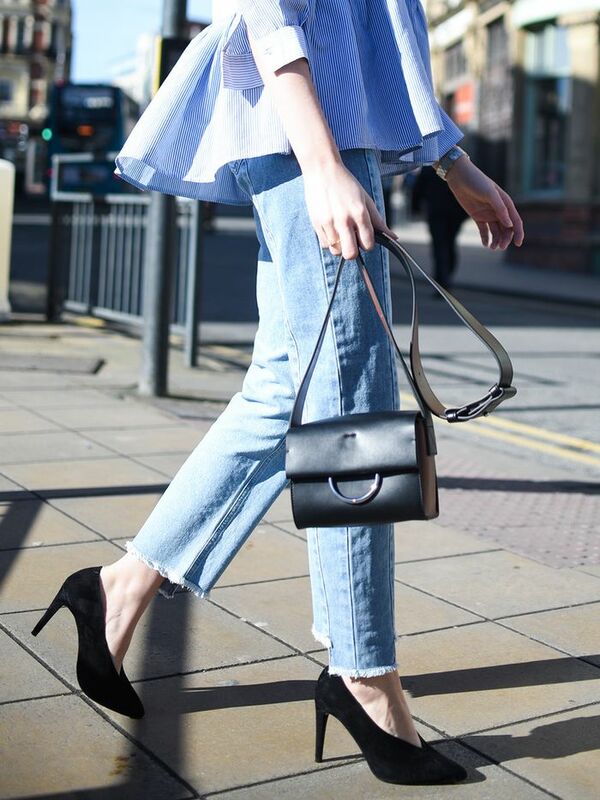 How will you elevate your denim for spring?